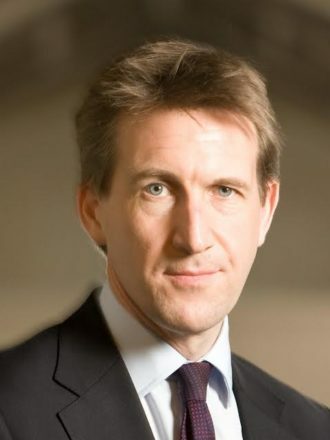 Dan Jarvis has joined the contest to be chosen as Labour’s candidate for the new role of South Yorkshire mayor. The former frontbencher and ex-paratrooper applied before the deadline passed on Friday. Former sports minister Richard Caborn and councillor and trade union lawyer Ben Curran have also thrown their hat in the ring. The role has yet to have its powers or salary agreed by Sajid Javid, the communities secretary. If Jarvis was selected and then went on to win the election he would not take a salary and would instead remain in the Commons to argue for stronger powers across Yorkshire, it is understood. The devolution deal has been dogged by disputes within Yorkshire as well as apparent backsliding from Sajid Javid, the communities secretary. Earlier this month the mayor of Doncaster and the leader of Barnsley council called on Javid to postpone the election, due in May, and to create a post of Yorkshire mayor by 2020, according to the BBC. Jarvis’ shock move was revealed by PoliticsHome. The Barnsley Central MP has been tipped as a future leadership candidate ever since he arrived in Westminster after a by-election in 2011. He served as shadow arts minister under Ed Miliband.